It was fast delivery, and the end piece is beautiful! I am very pleased. 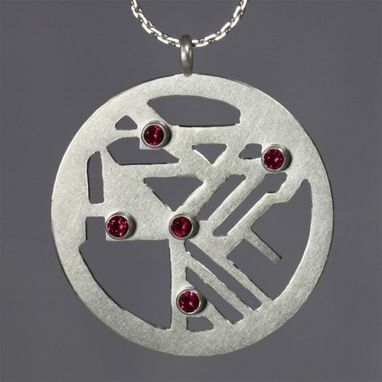 Sterling silver subway map necklace of New York with five 3mm lab-grown Ruby stones in tube settings that represent different stops on the route. Pendant is 1.5 inches in diameter. Comes on an 18 inch Boston link chain with the artist's stamp attached at clasp. 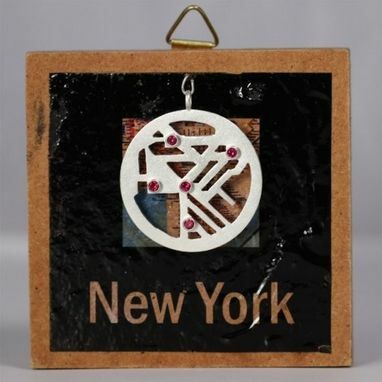 Also comes with a hanging display to showcase the pendant when it isn't being worn. Hang it on your wall just to look at it! 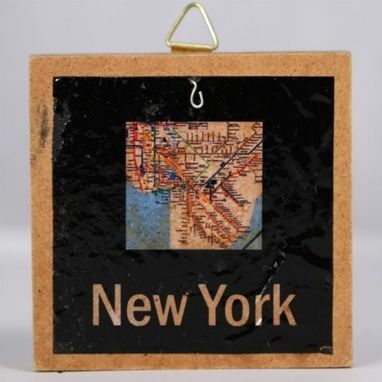 Display is made of stained wood with a lazertran map decal 3.5 x 3.5 inches. Very contemporary and unique! Every maker has a story. Be a part of Laine Benthall Jewelry Designs's story by placing an order, leaving a review, and seeing your review appear here.